Community Corner - Patterson Station. Try your luck at Lucky Lotteries next time you visit Patterson Road Tatts, News & Post. 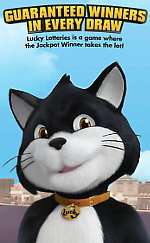 Lucky Lotteries is a jackpotting game where the winner takes the lot! Both the Lucky Lotteries Super Jackpot game and the Lucky Lotteries Mega Jackpot game have a set number of tickets to be sold. Once all the tickets in a draw are sold the draw for that particular game can take place. To give it a go simply grab a Lucky Lotteries Pack in-store or ask us for more information about how to play Lucky Lotteries. 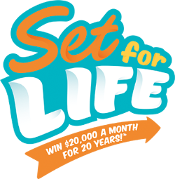 Set For Life is an exciting new game recently launched by Tatts where the winner gets $20,000 a month for 20 years! Playing Set For Life is easy, just fill out the entry or ask for a QuickSET and of course Set For Life games can be saved to your Tatts card. Set For Life is the first new national game to be launched in over 18 years, when Powerball was launched, so be sure to give it a try. 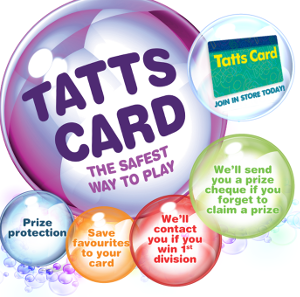 Join today for all the great benefits of a Tatts Card, the safest way to play Tatts lottery games. Enter and record your favourite numbers every week without any hassles. Store up to 50 coupons on your Tatts Card, register Quick Pick entries and change your numbers whenever you like. To record coupons onto your Tatts Card, hand over your card with completed entry coupons and ask our staff to store the entries onto your card. 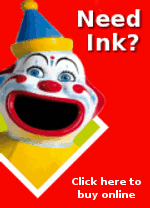 Each time you present your Tatts Card we will be able to instantly find out if you have any unclaimed prizes. Present your Tatts Card whenever you buy a lotto ticket, and if you have a win and the prize recorded on your Tatts Card is unclaimed for four weeks, Tatts will automatically send a prize cheque to your registered address, or notify you. Payments for CityLink Accounts and CityLink Toll Invoices along with purchasing of CityLink Passes can all be done at Patterson Road Tatts, News & Post. Just head to the newsagency counter in-store and we can process your CityLink payments through our newsagency systems. The official AFL Team 2016 Football Cards are once again proving to be very popular and we have new stocks in-store now for you to continue to build your collection. Team 2016 AFL Football Cards are now available for just $2.99 a pack. 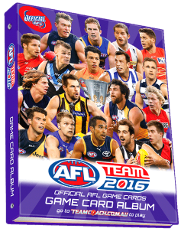 Also available in-store is the AFL Team 2016 Game Card Album at $9.99. Patterson Station remains open throughout the level crossing removal works, although buses will replace trains during planned line closures. For the latest updates about line closures visit www.ptv.vic.gov.au. The main change at Patterson Station during this stage of the works is that all city trains are departing from platform 2 and all Frankston trains are departing from platform 3.
myki cards and top-ups are available at Patterson Road Tatts, News & Post with travel to and from Patterson Station being the same as a zone 1 fare. Be sure to call in to top up your account or if you do not have a myki card we will be pleased to help you out.